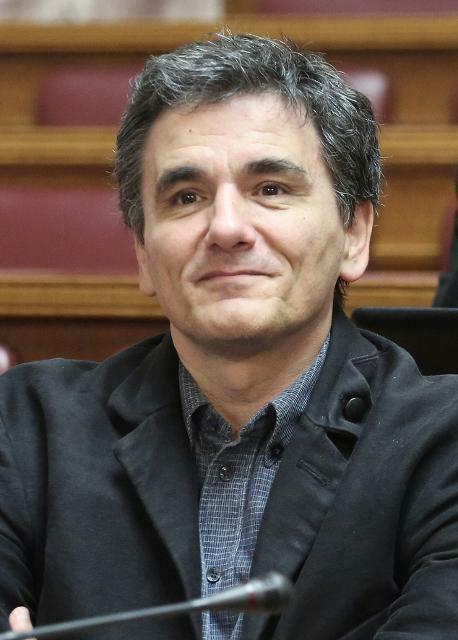 Euclid Tsakalotos was born in 1960. He studied Economics, Politics and Philosophy at the Universities of Oxford and Sussex and completed his PhD in 1989 at the University of Oxford. From 1989 to 1990 he worked as a researcher at the University of Kent and later taught at the Universities of Kent (October 1990-June 1993) and Athens University of Economics and Business (October 1994-September 2010). Since 2010, he is Professor of Economics at the National and Kapodistrian University of Athens. He served as a member of the Central Political Committee and the Political Secretariat of SYN, and member of the Executive Committee of POSDEP (Hellenic Federation of University Teachers’ Associations). He is a member of the Central Committee of SYRIZA. On May 2012, he was elected MP of SYRIZA in Athens and got re-elected in January 2015. On 27 January, 2015, he was appointed Alternate Foreign Minister for International Economic Relations, in the Ministry of Foreign Affairs. On 6 July 2015, he was appointed Minister of Finance. On 20 September 2015, he was re-elected MP of SYRIZA in Athens and re-appointed Minister of Finance on September 23rd, 2015.